Well hello there, April. Oh, how I have missed you. March was a strange month weather-wise here in Pennsylvania. I am so excited for April, warm weather, the Phillies, spring flowers and taking long walks with my little guy. I had a pretty good reading month, thanks to the unseasonably cold weather which kept me indoors on most days. I'm still on a blogging break, but I'll be back April 8th. 1. 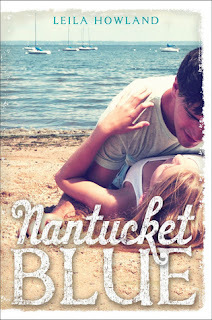 Favorite Book: Nantucket Blue by Leila Howard- This book made me long for summer. It is such a fantastic debut and I'll be sharing my review in May during my Summer Kickoff. 2. Biggest Dissapointment: Invisibility by Andrea Cremer and David Levithan- I had such high hopes for this book and yes, it was entertaining, but it didn't "wow" me. It was way more of a fantasy novel (involving magic, curses, etc) than I thought it would be, which took me by surprise. 3. Biggest Surprise: The Red Umbrella by Christina Diaz Gonzalez- This is such a great and very important read; plus, it's perfect for middle grades. I am definitely putting this book in my classroom library. I also really enjoyed Shadow and Bone by Leigh Bardugo. It was my kind of high fantasy. 5. Favorite Part of March: Taking my little guy outside in the snow for the first time. He was mesmerized! I loved Nantucket Blue- such a fantastic summer read. I hope you will like it. Thanks for visiting, Leanna. I hope you are enjoying your break! It was! :) I am looking forward to spring though and I know you are too! Thanks for dropping by, Juju! I'm looking forward to reading your Nantucket Blue review. Looks like a a great summer read. I love the summer. It was definitely a great read for summer. Thanks for visiting, Jennifer! Well shoot Christina! I'm starting Invisibility this week and I had really high hopes for it. I'm not a huge fantasy person, so the fact that it has more fantasy elements than the synopsis might suggest is a little worrisome, but it seems like you at least enjoyed it overall even if it didn't blow you away. 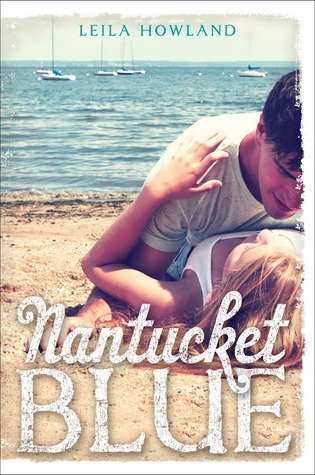 Can't wait to read Nantucket Blue! I hope you like it more than me. I'll keep my eye out for your review. Nantucket Blue was definitely more up my alley. Thanks for visiting, Jenny! oooh nantucket blue! i am very curious! !